Bonus: 10% of current account equity. To get: make deposit and request the bonus within 30 days. Withdrawal condition: trade required volume, within 1 year. Before reach required volume, any withdrawal will cancel the bonus. 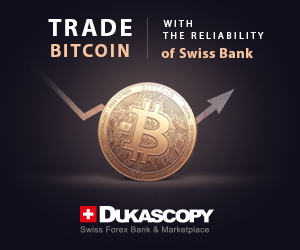 Dukascopy Bank SA reviews and information.